The Cardinals start their second road trip of the 2015 season with a three game series against the Washington Nationals. It will be the first time this season that the Cards face an opponent outside of their division. Both teams were pre-season favorites to make the playoffs, so this could be something a preview of a divisional or league championship series in October. In the 13 regular season games since the 2012 NLDS, the Cardinals have an 11-2 record against the Nationals. With a series win, the Nationals (6-7, 4 games out) can improve to .500 for the first time since April 8, the second game of the season. After losing their first three series, the Nats are coming off a strong home series against the struggling Phillies, winning three of the four games. It is a bit early to draw too many conclusions about Washington’s offense, except that they will strike out. A lot. That should help the Cardinals pitchers as they tend to be around the strike zone. Ryan Zimmerman leads the team with 11 RBIs while Bryce Harper leads the Nats with 4 home runs. As a team, they have already belted 14 long balls, compared to just 6 by the Cardinals. On their pitching side of the game, it is something of a contrast of extremes. New comer, Max Scherzer (1-1, 0.83 ERA) and former Tigers rotation mate Doug Fister (1-0, 0.69 ERA) have been sensational. Jordan Zimmermann, Stephen Strasburg and Gio Gonzalez have been touched up for more than a few runs in their starts. Unfortunately for the Cardinals, they will face both Scherzer and Fister in the series. While the loss of Craig Stammen is a huge blow for the Nationals bullpen, they have been very effective in holding leads so far in the season. Closer, Drew Storen, is 4 for 4 in save opportunities and has only allowed 1 run over 5 innings. Felipe Rivero, a 23 year old left hander, will take Stammen’s spot in the bullpen, at least for now. For the Cardinals (8-3, 1 1/2 games ahead of the Cubs), the story is pitching, pitching, pitching and more pitching. The staff enters the series with an ERA of 1.91. Only two pitchers, Seth Maness and Randy Choate, have an ERA over 3. This is not a sustainable way to win games over a long stretch, but the pitching has carried the Cardinals in the early going. Whether last weekends series sweep of the Reds was more the Cardinals bats finally waking up or the continued struggles of the Cincinnati pitching staff, Matt Carpenter made a huge impact as the catalyst at the top of the batting order. For his efforts, he was named the NL Player of the Week (Apr 20). Matt Holliday and Jhonny Peralta continue to hit with regularity. Perhaps the most encouraging sign for Cardinals fans is that Yadier Molina is heating up after a slow start to the regular season. For the second time this season, the Cardinals will have a player on temporary leave to attend the birth of their child. This time it is center fielder, Peter Bourjos. The Cardinals have purchased the contract of Mitch Harris to take Bourjos spot on the active roster. If you are not familiar with the Mitch Harris story, it is an incredible one. The Cardinals drafted the hard throwing right hander out of the Naval Academy in 2008, but Harris served his military commitments. 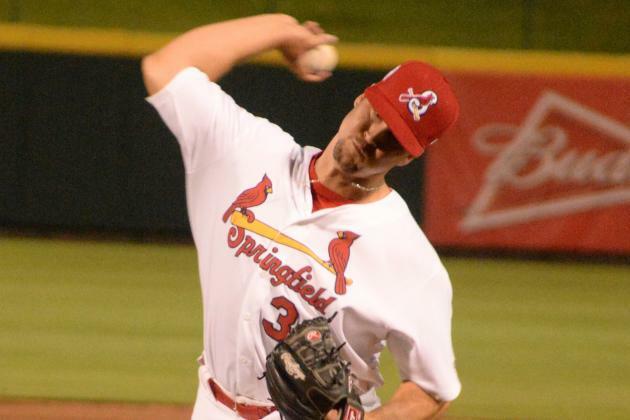 The Cardinals held a spot for him and five years later, Harris began his professional baseball career with the State College Spikes (short season A). Two years and nearly 100 innings later, Harris will on the major league roster. He features a fastball that can get into the mid to upper 90s, so don’t be surprised if we seen him often this season. Speedy center fielder, Gary Brown, has been designated for assignment to make room for Harris. Brown was claimed off waivers from the San Francisco Giants a few weeks ago. Lance Lynn has given up just a single run in each of his first two starts this season. If there is a criticism in Lynn’s game so far it is pitch count. Lynn did pitch into the seventh inning in his first start, but pitch count limited him to just five innings almost a week ago. This will be the 100th career start for Lynn (50-29, 3.43). While the lefty dominated Cards batting order should give Gio Gonzalez an advantage, St. Louis has done well against him in his career. Gonzalez was the starting pitching in the now famous (or infamous in Washington) Game Five of the 2012 NLDS. Control still seems to be the big issue for the Nationals left hander. If the Cardinals are patient, and can drive up his pitch count, it could be a short night for Gonzalez. This will be the debut StatCast broadcast on the MLB Network. StatCast uses a set of high resolution cameras to measure detailed items in the game, such as the speed of a baseball off a hitters bat. For the stats heavy fan, this should provide a cornucopia of new information to absorb. Since you will need there, here is a glossary of StatCast terms. Key to the game: Lance Lynn going 6+ innings. After a rough debut to start the 2015 season, John Lackey was a textbook on efficiency in his last start, going seven strong innings. There is nothing much more to say about Doug Fister other than he has been brilliant so far in 2015. On paper, this should be a low scoring game, which means it will probably be a 10-8 slugfest. If John Lackey pitches as he did in his last start, this should be a thrilling pitching duel, decided by the bullpen in the late innings. Michael Wacha has been lights out to start the 2015 season. Longevity and load will remain a question as he approaches 150 and then 200 innings, but when healthy, Wacha is one of the most exciting right handers in the game today. Unfortunately for the Cardinals, he will be facing a veteran that is just as stingy and not likely to break down any time soon. As with the Lackey/Fister game, this should be a thrilling pitching duel, decided by a run or two late. Craig Stammen (RHP) – the 31 year old right hander had surgery to repair two torn flexor tendons (forearm) and will likely miss the remainder of the season. Casey Janssen (RHP) – right shoulder tendonitis. Janssen has recently started throwing again, but has not begun a minor league rehab program. He is expected to return in late April or early May. Erik Davis (RHP) – recovering from Tommy John surgery last spring. No timetable for his return has been set. Yunel Escobar (SS) – missed the last series and is listed as day to day. He is expected to play in the Cardinals series. Nate McLouth (OF) – may be activated soon. He is recovering from shoulder surgery last August. He has not yet started a minor league rehab assignment. 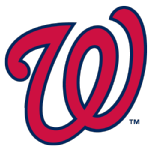 Anthony Rendon (3B) – sprained left knee. Has just started throwing and light batting activities. Should be starting a minor league rehab assignment soon. Randal Grichuk (OF) – has been placed on the 15 day DL with a lower back sprain. He is expected back in early May. Infielder Dean Anna has been called up to replace Grichuk on the roster. Jaime Garcia (LHP) – continues to recover from season ending shoulder surgery last May. Garcia pitched effectively early in spring training, but had difficulty in recovering in time to make his next start. He will remain in extended spring training for a while but is expected to start a minor league rehab assignment with a possible return to the majors in late May. Tommy Pham (OF) – has recently been cleared to resume baseball activities following a left quad strain. There is no timetable for his return. This series preview has been written by Bob Netherton, from the mostly historical blog On the Outside Corner, You can also find Bob on Twitter during game time at @CardinalTales. We hope that you have been enjoying these Cardinals series previews. If you are not already receiving these by email, please see the Bird’s Eye View Registration. This entry was posted in 2015 Season, Bird's Eye View, United Cardinals Bloggers. Bookmark the permalink.